Maloney & Kennedy, PLLC, Certified Public Accountants, would like to announce the recognition of their Enrolled Agents, Janeen Sorrentino and Trish Mantone, whom are being honored at the NH Capitol with their fellow New Hampshire EAs at the Enrolled Agent Week Proclamation presentation by Governor Chris Sununu next week. This presentation seeks to recognize Enrolled Agents as “America’s Tax Experts,” for their roles in the tax industry in the State of New Hampshire. New Hampshire is one of 22 states thus far which have issued Enrolled Agent Week proclamations. Janeen and Trish are honored to be involved with the National Association of Enrolled Agents, which has been working with its state affiliates nationwide to enact this proclamation. The NAEA is a non-profit membership organization that represents more than 50,000 tax professionals licensed by the U.S. Treasury Department. 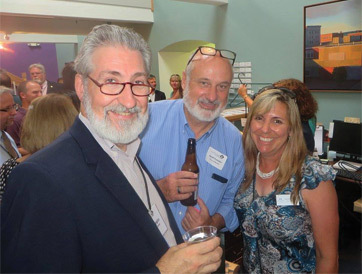 NAEA provides the networking, educational opportunities, programs and services that enable enrolled agents and other tax professionals to excel beyond their peers. Enrolled agents are the only federally-licensed tax practitioners who both specialize in taxation and have unlimited rights to represent taxpayers before the Internal Revenue Service. Trish Mantone is a Board Member and Secretary of the Northern New England Society of Enrolled Agents, and Janeen Sorrentino is a Director on the Board of the Northern New England Society of Enrolled Agents, which covers the Vermont, New Hampshire and Maine chapters of NAEA. Please join us in congratulating Janeen and Trish, along with all EAs, for this wonderful recognition. The Governor will be presenting the proclamation on Tuesday, February 5th at 2:00 p.m. Enrolled Agent Week will take place each February 4th through February 10th. 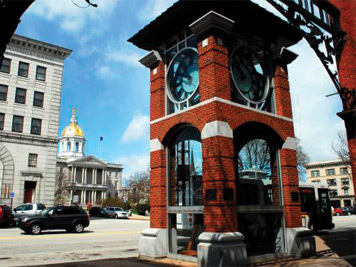 Maloney & Kennedy, PLLC has offices in Auburn and Concord, New Hampshire.